Re-creating a Juniper Forest Habitat at the RBG is a challenge because, at 215-285 m above sea level, our target site is decidedly low for Juniper phoenicea. 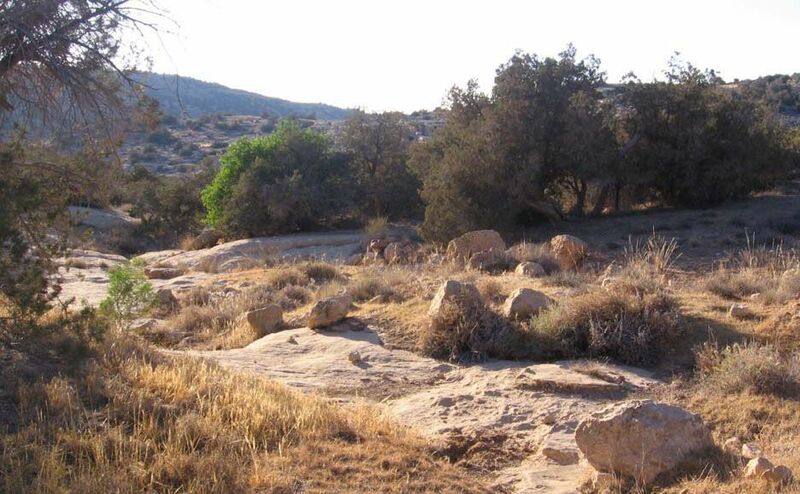 However, many of the necessary species of grasses and shrubs at the RBG is in addition to the existence of sandstone in different locations, as well as Pistacia atlantica. 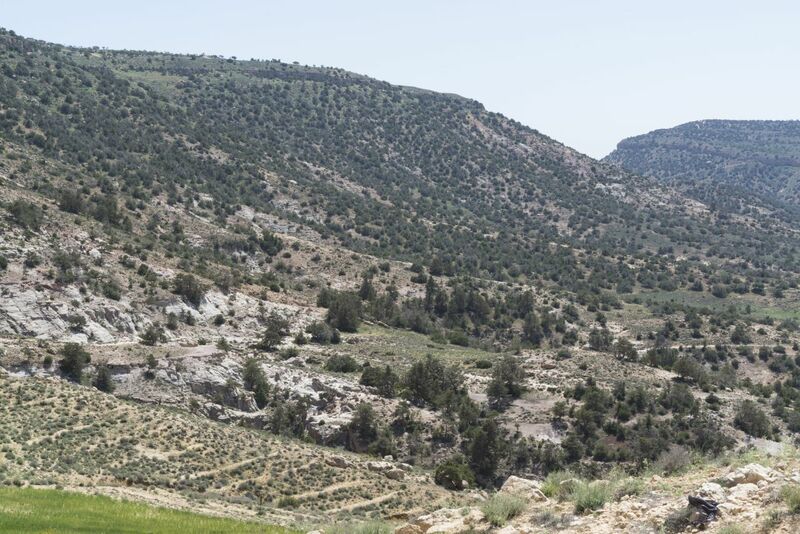 Juniperus phoenicea is found throughout the southern highlands of Jordan, typically at high elevations in association with Pistacia atlantica and Quercus coccifera. 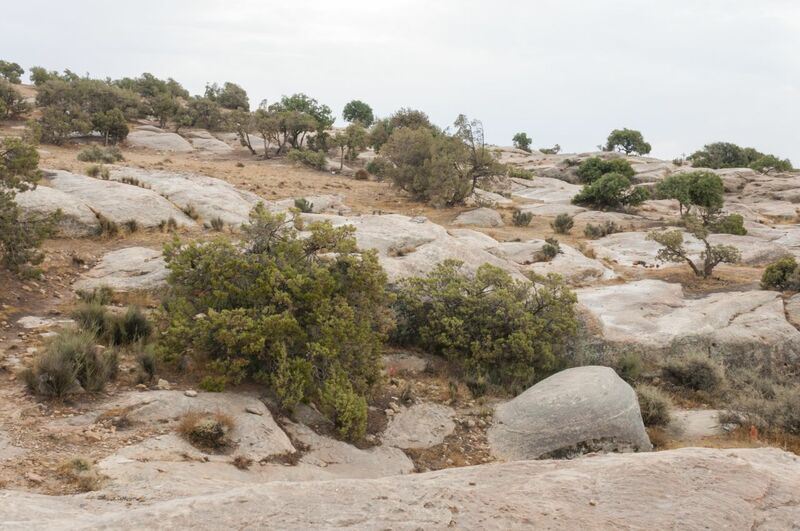 The RBG botanical team searched for a model habitat by hiking through the lowest-elevation sites in the country where Junipers could be encountered: Ras Namala, near the Petra Archaeological Reserve; the Wadi systems below Dlagha in the Shera'a mountains; and Wadi Feinan to Wadi Dana. The lowest elevation where found Junipers was around 500 m in Wadi Feinan. 1) There is significant die-back occurring in Juniper communities at the highest elevations (above 750 m), probably because of the dropping water table. 2) In the southern mountains of Jordan, the precipitation and atmospheric humidity, at 200-300 m asl, are far lower than at the same elevation in Tal Al-Rumman. Even at elevations of up to 700 m in the south, the humidity is significantly lower than in Tal Al-Rumman, although the winter is somewhat colder. The site finally chosen as the home habitat for our Juniper Forest Habitat is at Wadi Ahmar, in the Dana Nature Reserve at 1100 m asl. 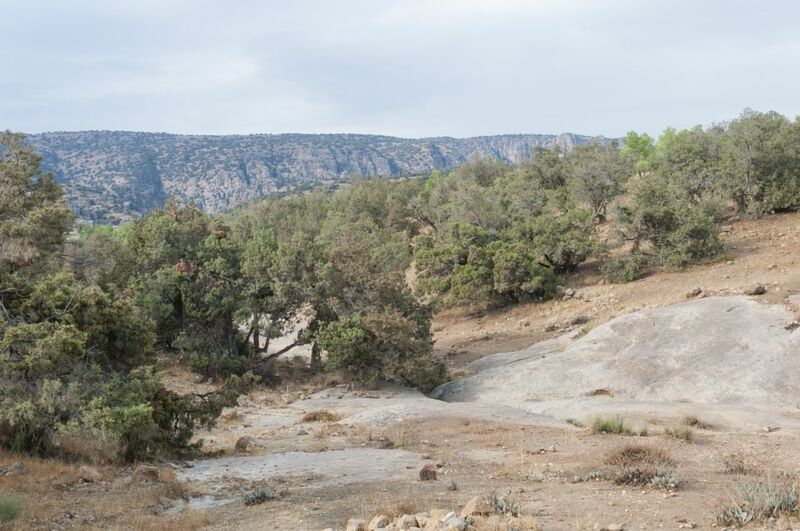 It is difficult to predict whether or how well the Junipers will thrive in Tal Al-Rumman, but it seems reasonable to assume that the higher available groundwater, plus 50-100 mm more precipitation per year, will benefit the trees. In the gallery below, you'll find pictures and information for some of the plant species in our Juniper Forest Habitat. 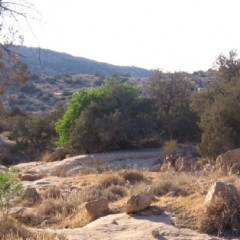 Protecting Jordan's biodiversity through habitat re-creation! 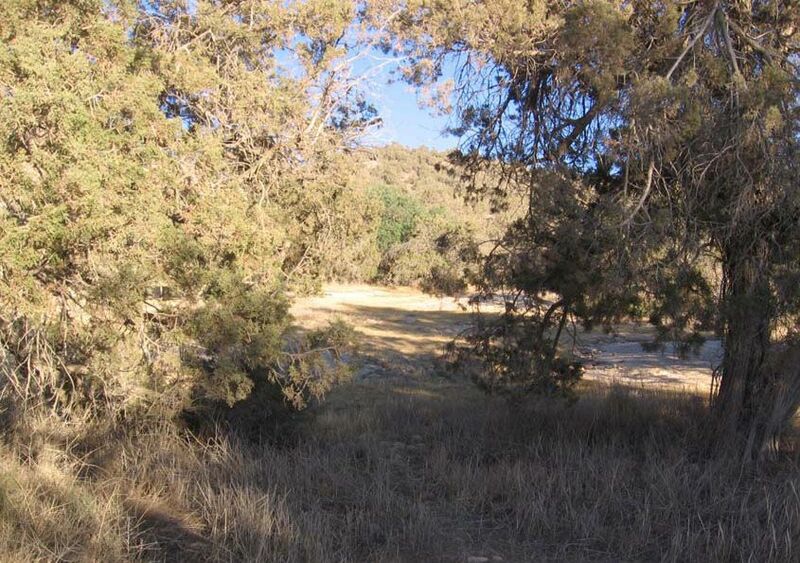 The Royal Botanic Garden's Juniper Forest Habitat is modeled on a natural home habitat found in Wadi Ahmar, in the Dana Reserve.